After a purchase order, you usually process the order, send an acknowledgement to customers that their goods are on the way and then you ship the goods to them. However, it would be wrong to send good to a customer without including a packing list in the box that contain the goods. 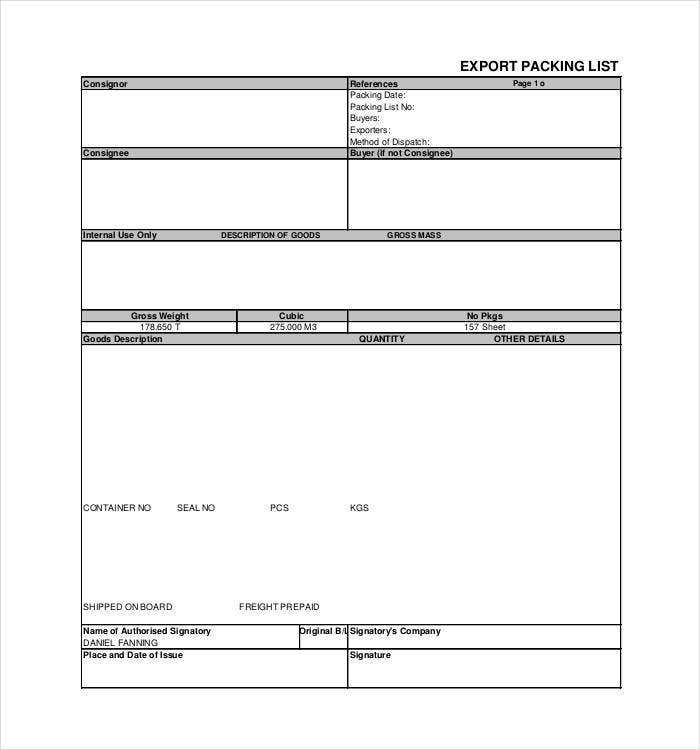 So use free packing list vorlage template to create suitable packing lists that you can dispatch with goods. 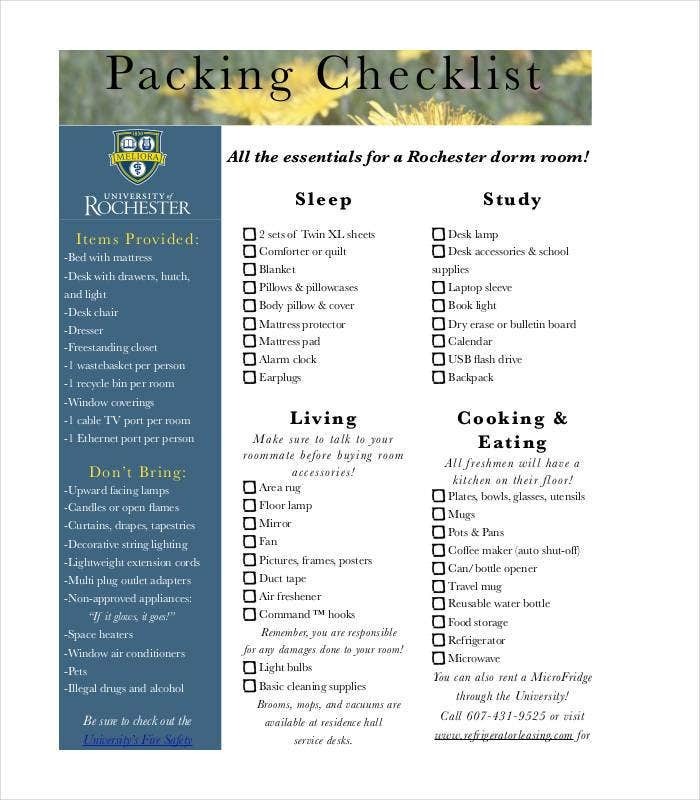 You will need the template to create the best rick steves packing list for your business. The best thing is that it should not take you a lot of time to do this. It is relatively easy. 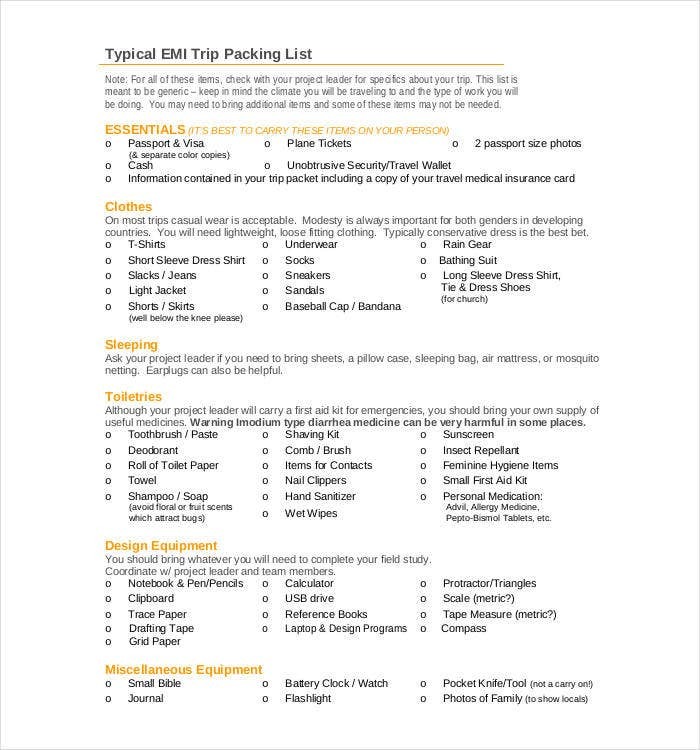 Pick a vacation packing list template you feel is suitable for you, and customize it to your business standards. 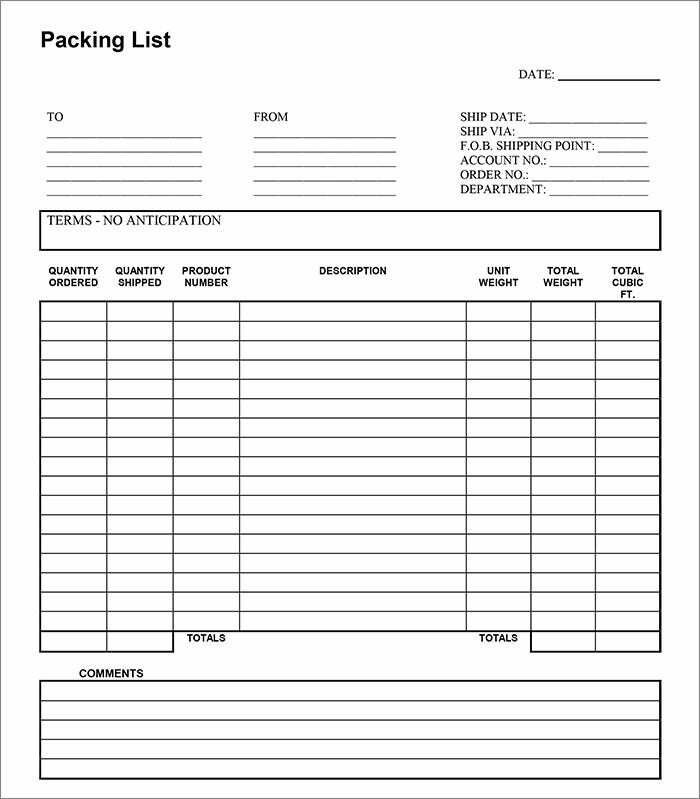 Make a batch printout, usually in bulk because you will need this most times whenever you are shipping goods to your customers. 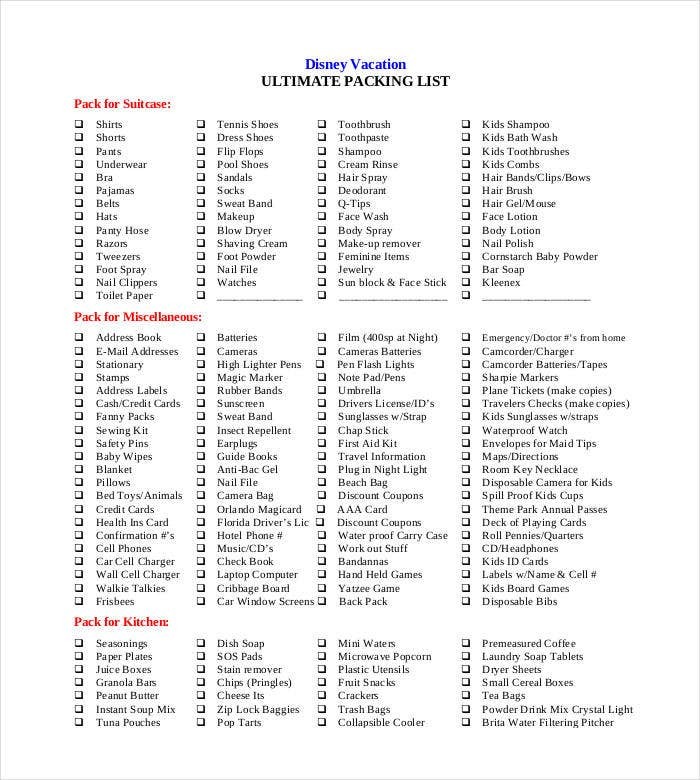 Your business cannot do without these the packing list. 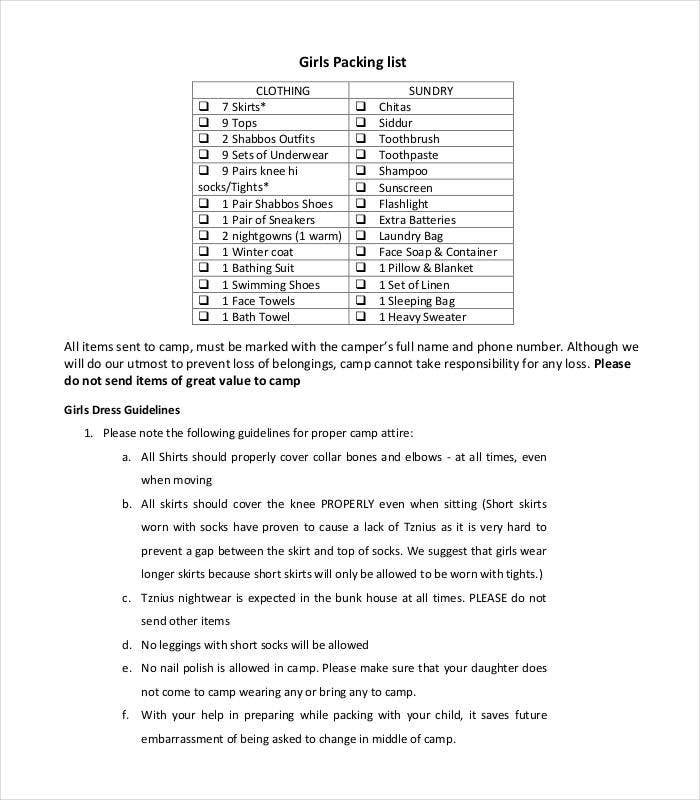 You want the customer to get the exact goods they ordered for and in such a case the best thing to do would be to provide them with a packing list. 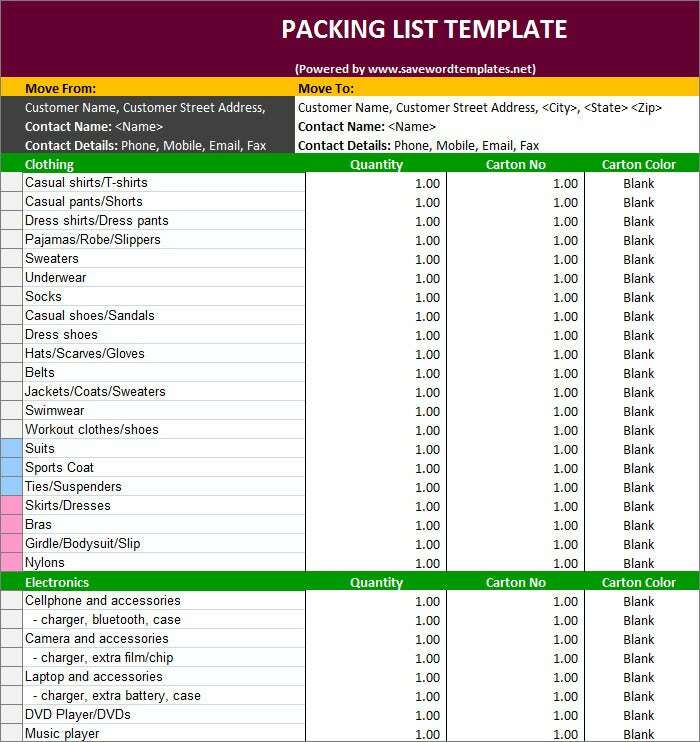 The holiday packing list template is therefore ideal, usually in the following ways: You may also see Address List Templates. It helps you note down a clear list of the items that you are about to dispatch. It makes it easy for the customer to check on the list of goods delivered to them. Used as evidence that only the ordered goods reached the customers. How to Make a Packing List for Moving? Creating a packing list for moving helps you get everything organized, thereby ensuring lesser hassle and an easy movement. 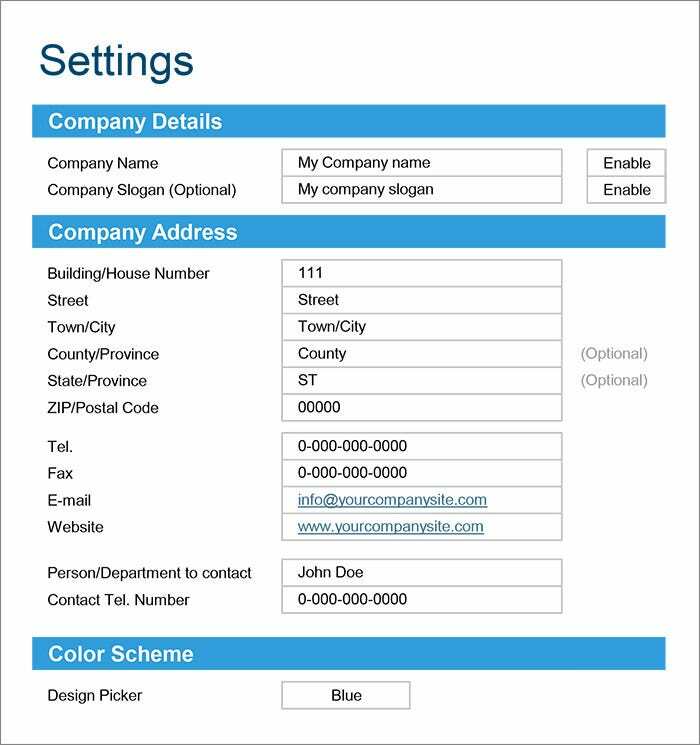 You can easily design such a list using the various list templates available online. You can even make use of the packing list generator software that a number of websites offer. However, in case you are thinking of creating such a list yourself, here is how to go about it. 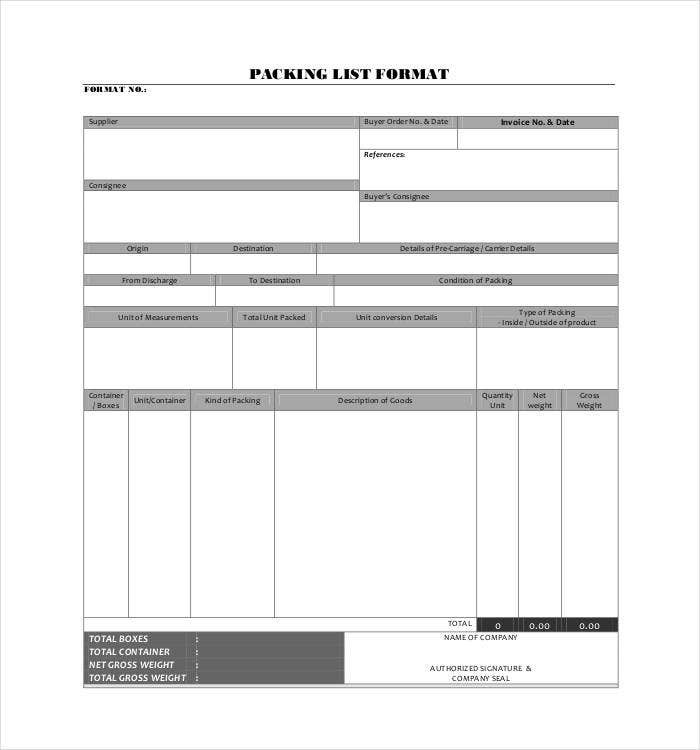 First open a blank document or use a sheet of paper. 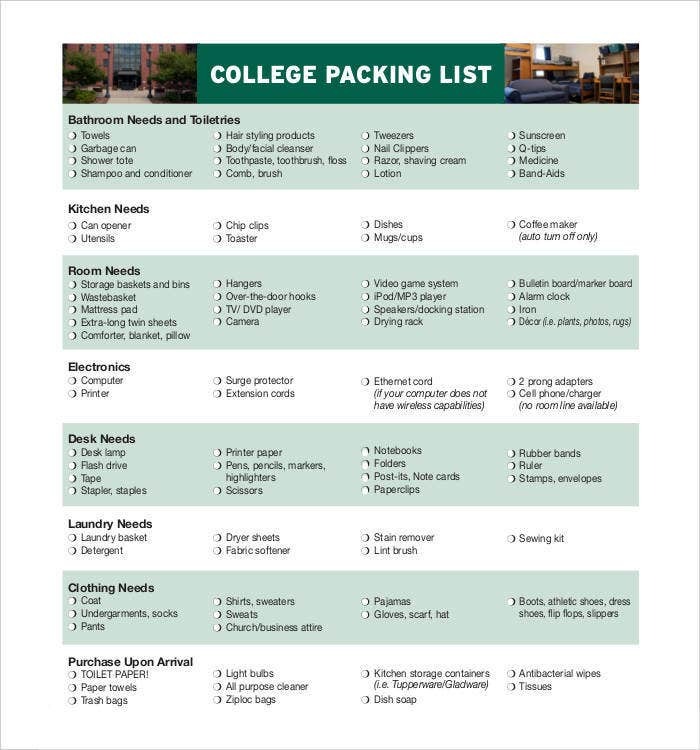 Create bullet points for all the various things that you need to pack. The sections should be termed as living room, kitchen, bedroom etc. You can also list these as utensils, electronics, clothes etc. Now start with each section and list all the things that would come under it. 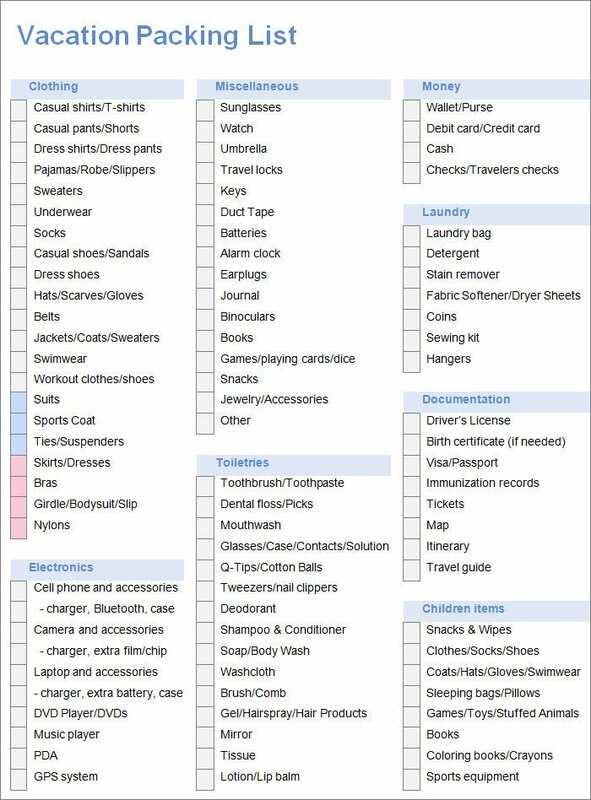 Once you are done with all the sections, cross check these against all the items to ensure that you have not missed out on anything important. 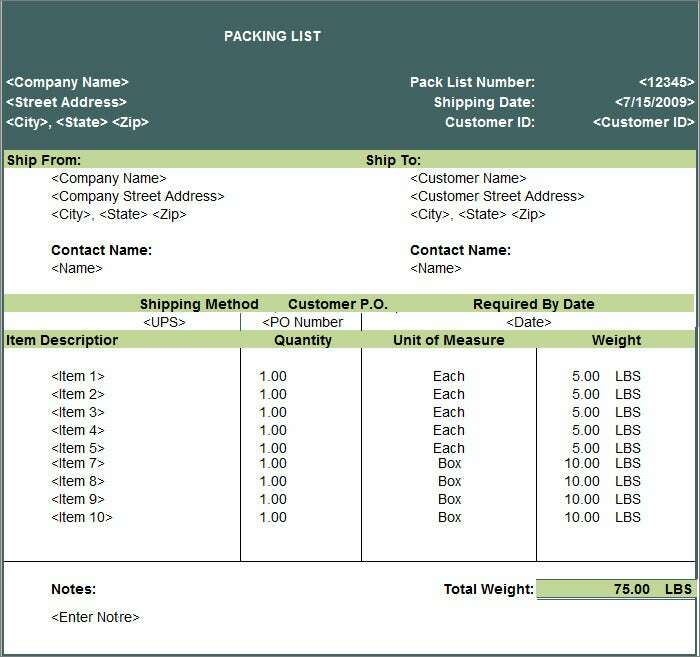 What is Commercial Invoice and Packing List? A commercial invoice is one that is designed by the employee of an export organization on the behest of the owner. This invoice is made against the purchase order that is sent by the customer. It comes in handy when declaring the details of the consignment to the customs department. 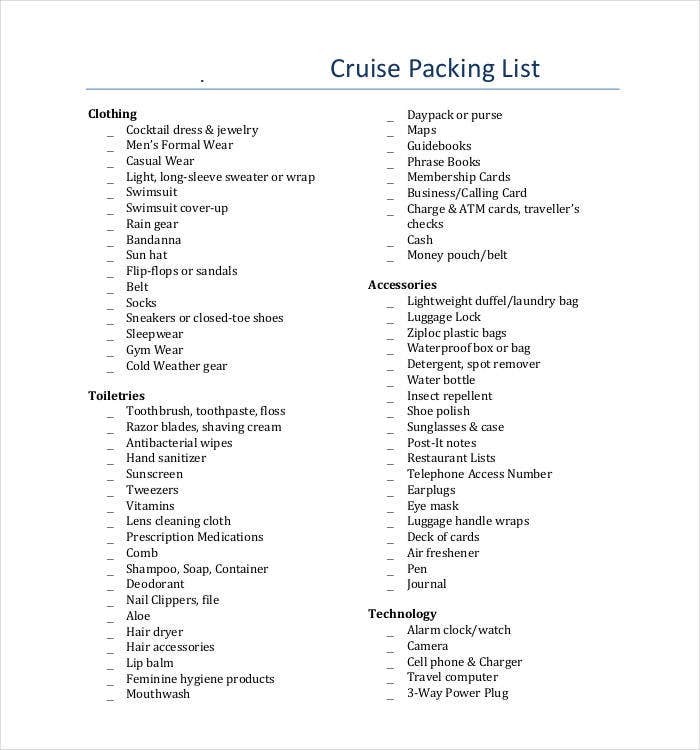 A packing list on other hand is a detailed list of all the products that have been packed into the shipment. 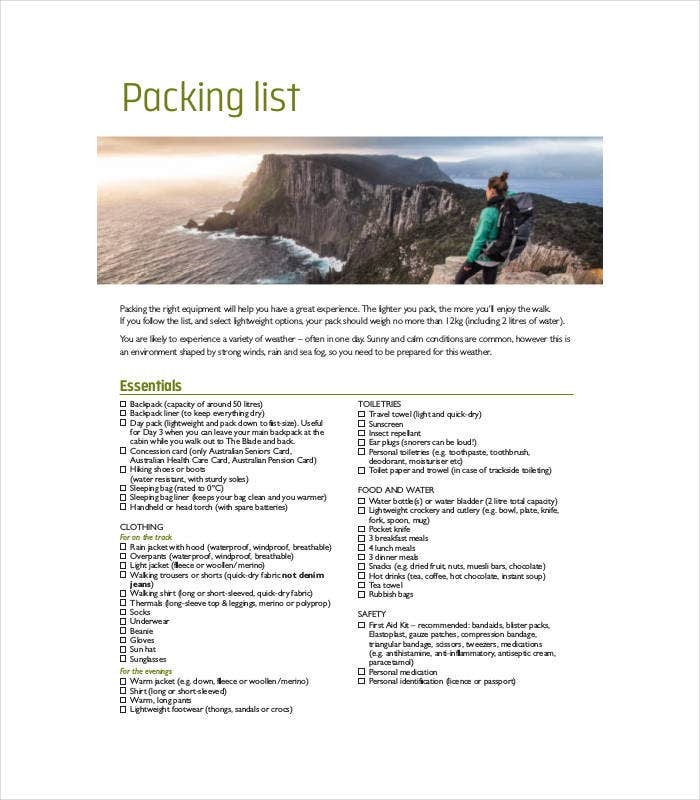 Using Travel Packing List Templates helps to design such a list quickly. 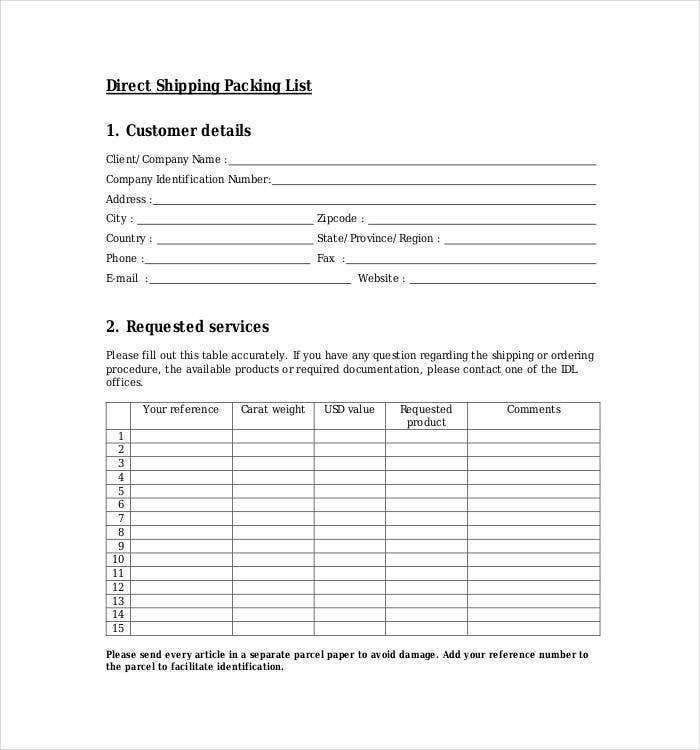 This list is attached with the commercial invoice and is sent to the customer, this making it easier for him to check whether all the products have been shipped or not. 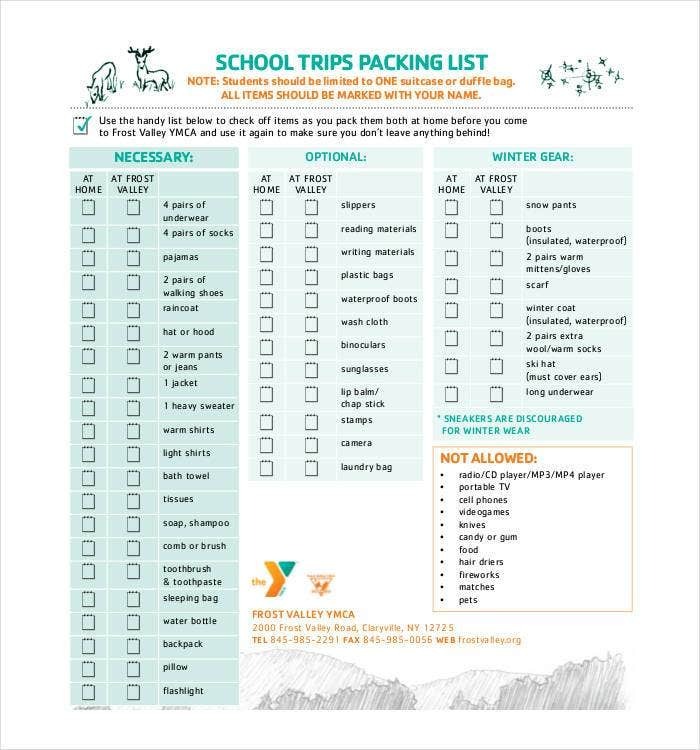 What should a Packing List Include? A packing list is nothing more than the details of the products that have been packed into a shipment. You can get an idea of the layout of such a list by taking a look at Best To Do List Templates. 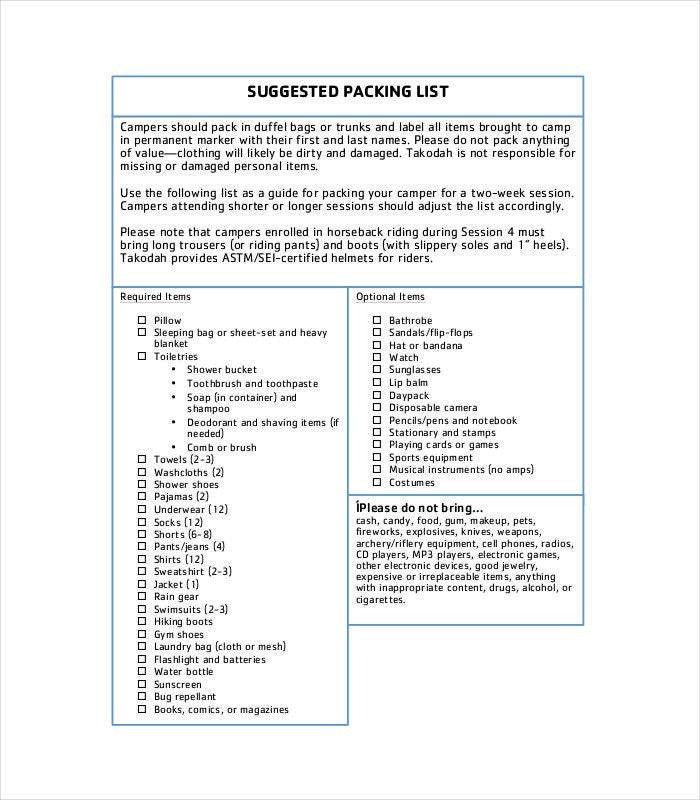 When it comes to commercial use, a packing list should include the following details. Going on a holiday or moving to a new city can be quite exciting. However, this begins with the most strenuous of tasks, which is packing. 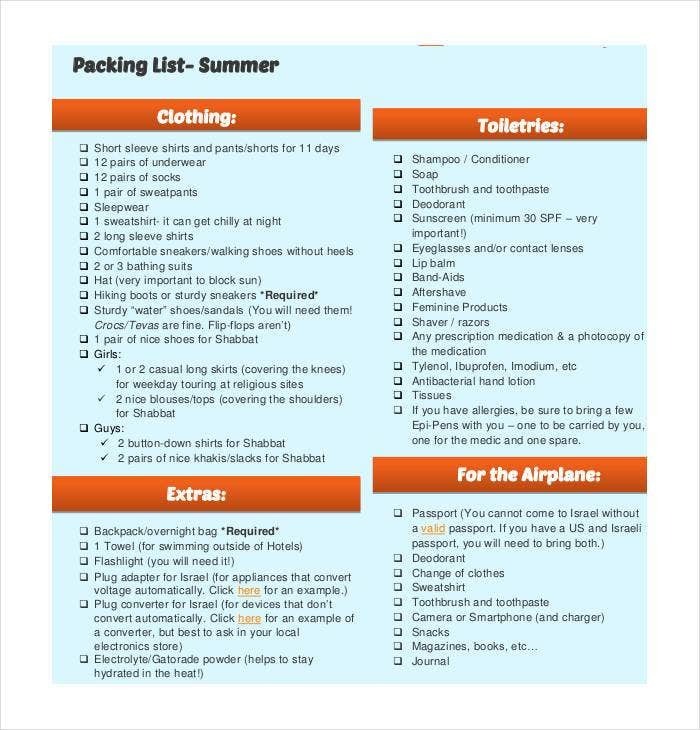 Designing a packing list can surely make the ordeal easier. 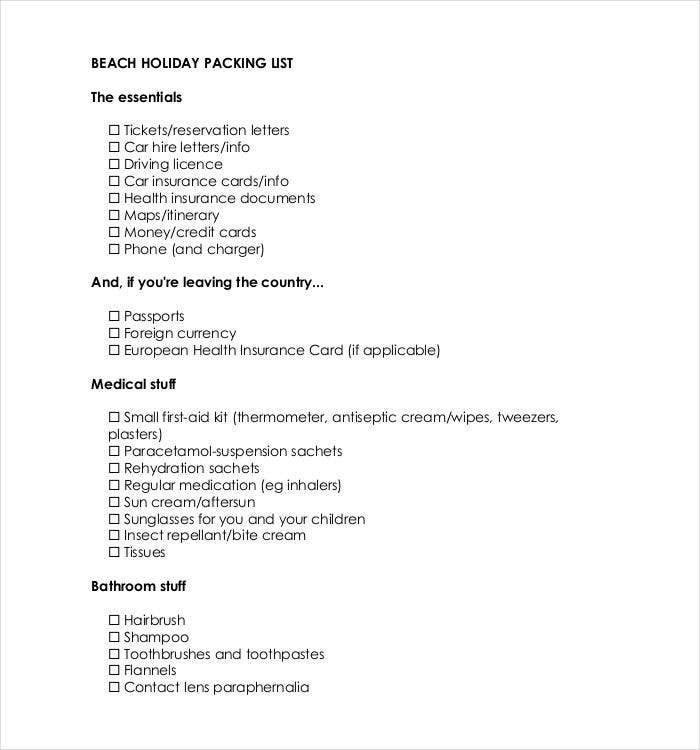 Using Vacation Packing List Templates can help you get an idea of the format to follow. 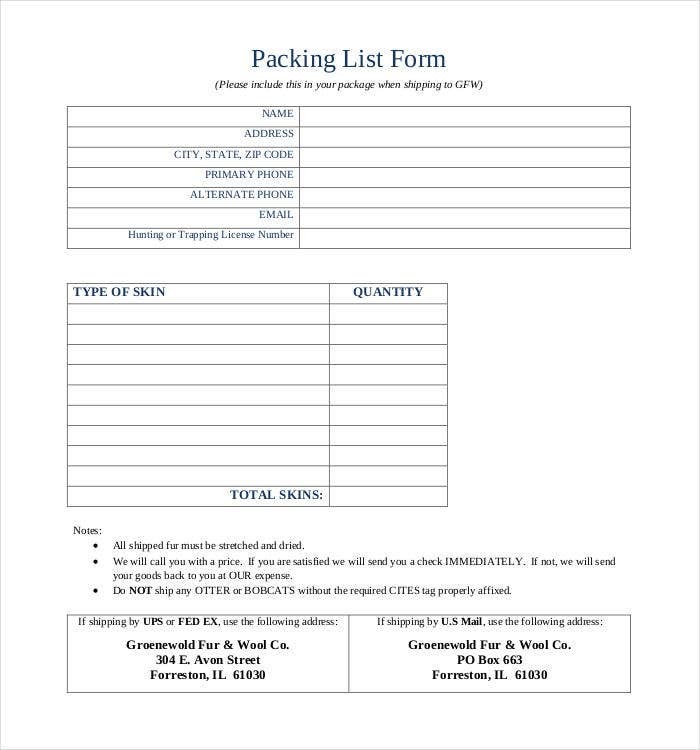 Here are some tips that will simplify the whole packing list creation process. First things first, create main categories for all the things that should be packed. It would be a good idea to list these based on priority. Check each item and then decide which category you need to put it into. You can also create a section named Miscellaneous for the items that do not fall under any category. 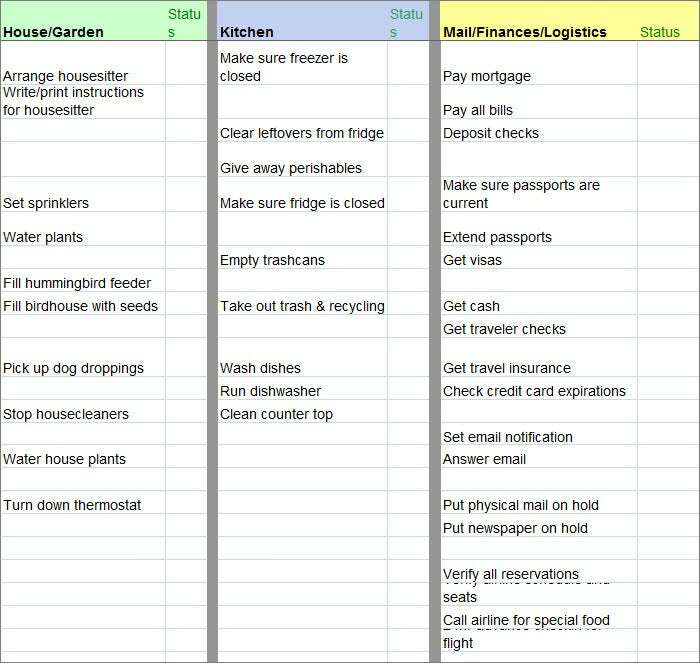 Review the list time and again to add any other things that you might have left out at the onset. 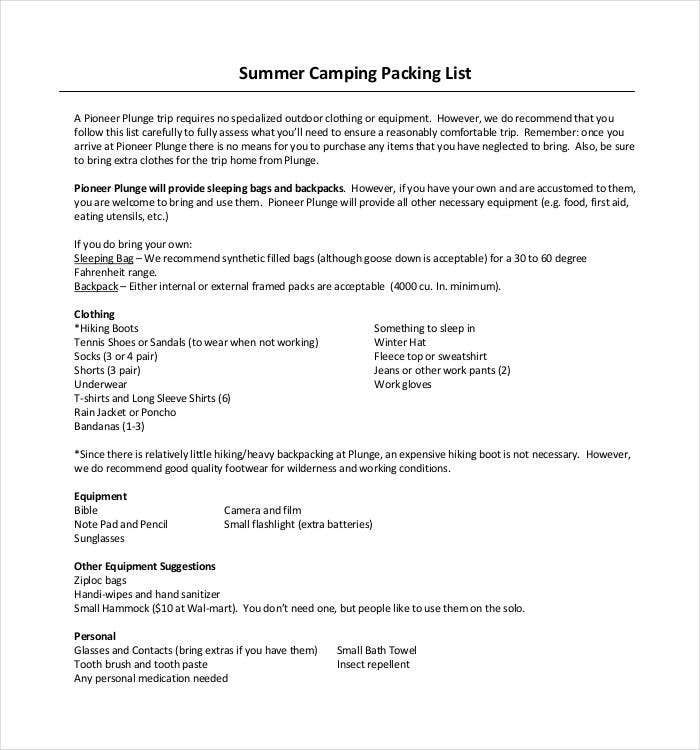 Not sure how to design a packing list? Fret not! 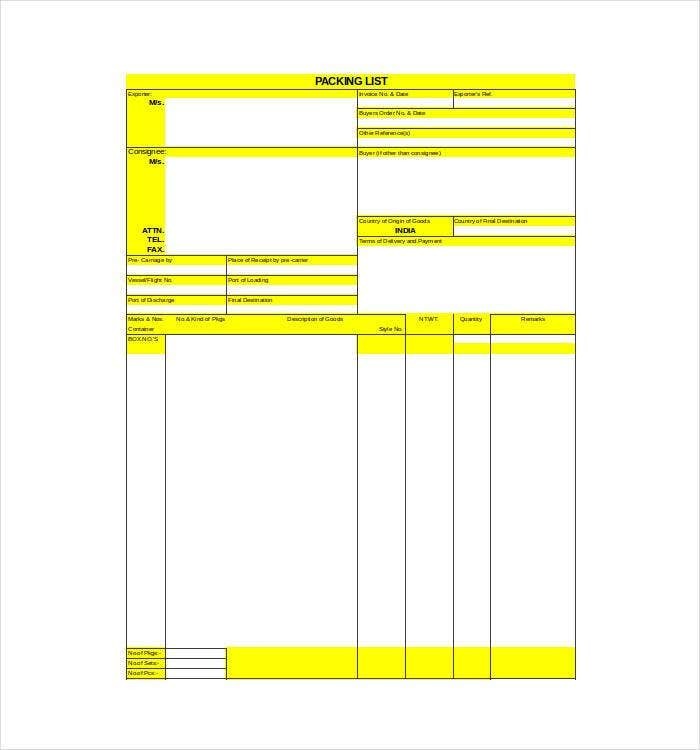 We have a wide range of Editable Packing Checklist Templates in our collection. You can choose the one that would be perfect for your needs. These templates would give you an idea of the format to follow and the segments to be included in the list. Since these are easy to customize, making changes to these as per your requirement is easy.